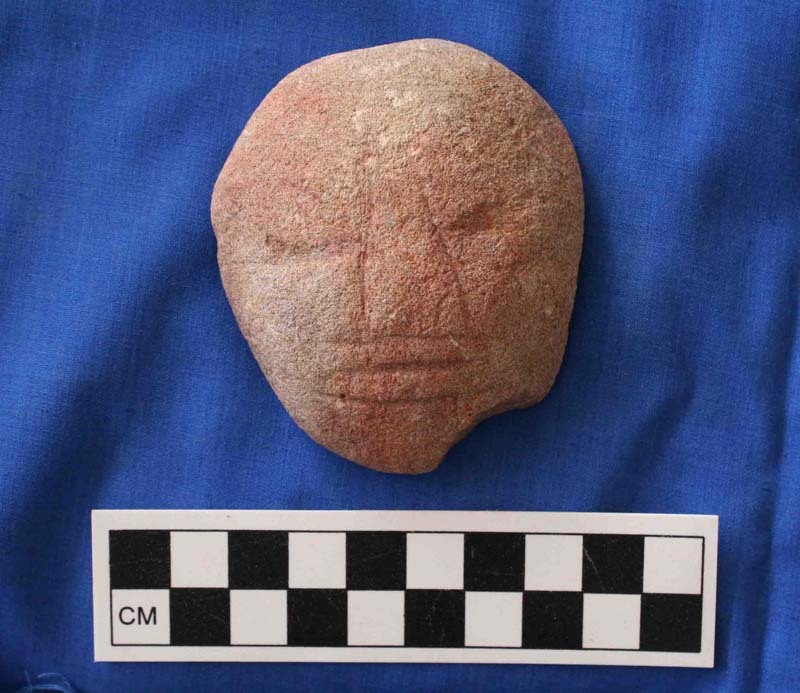 The San Estevan site is located on the New River in northern Belize, 30 km south of the Bay of Chetumal (Figure 1). 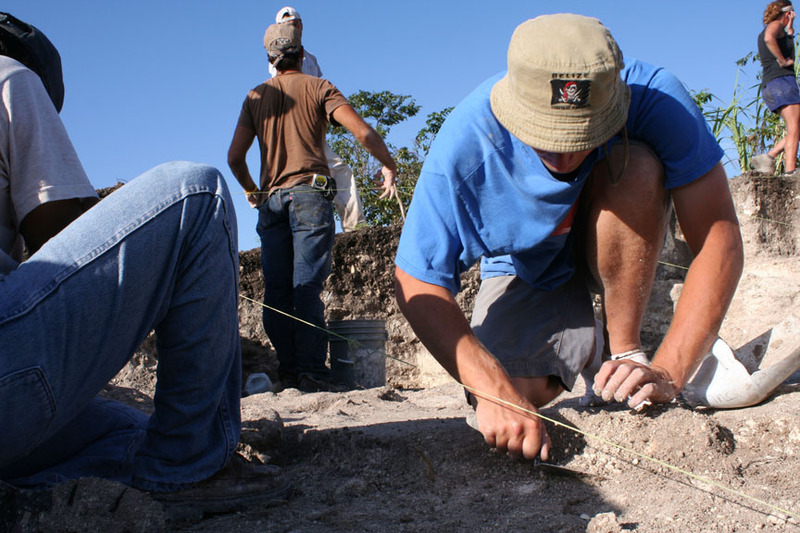 The San Estevan Archaeological Project provides undergraduate and graduate training in archaeological field methods. 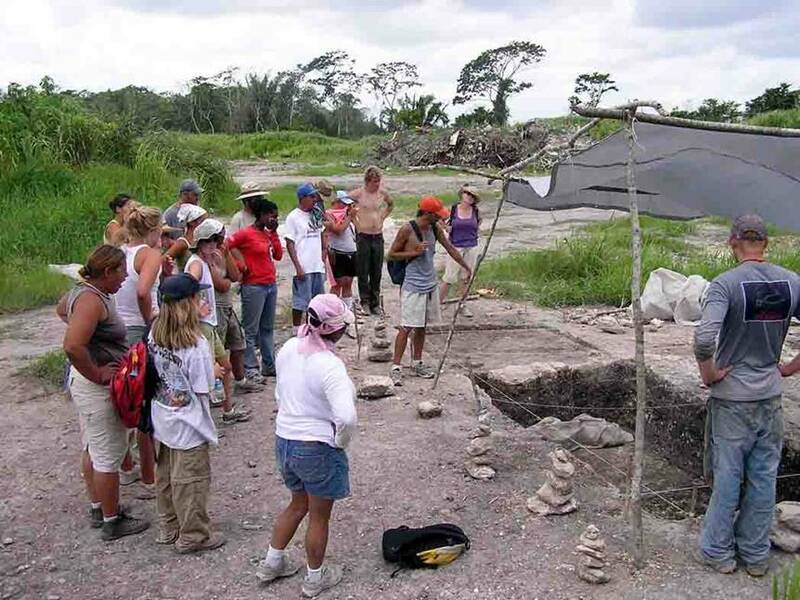 The 2005 and 2008 seasons of the San Estevan Archaeological Project have focused on documenting changes that occurred in the area of northern Belize during the Middle Formative through Late Formative periods (800 BC - AD 200). 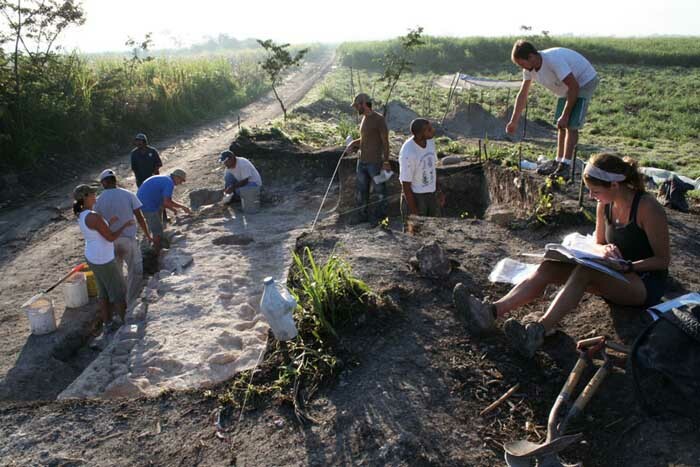 The project investigates 1) the origins of village life, 2) the transition from a horticultural adaptation to one dependent on intensive agriculture and 3) the first monumental architectural construction projects initiated at San Estevan as the site became one of a handful of political centers that emerged in the region by 100 BC. Each of these is a significant topic of anthropological inquiry and contributes to understanding local processes of emergent complexity, origins of agriculture and state formation. William Bullard (1965; 1975) mapped the civic-ceremonial center of the site in the 1960s (Figure 2) where he carried out excavations and restored two Early Classic structures (I and II). 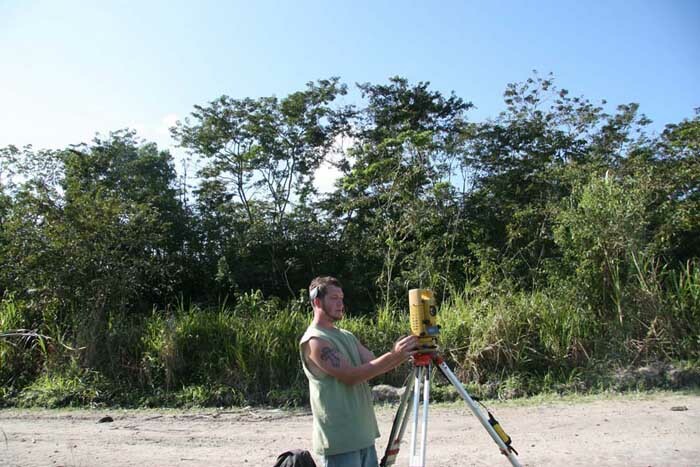 During the Corozal Survey Project, Norman Hammond (1973;1975) excavated at San Estevan and expanded Bullard's map with several additional plaza groups around the site core (Figure 3) as well as three large elite plaza groups (Hipolito, Martinez and Chowacol) within a two kilometers of the site center (Figure 4). 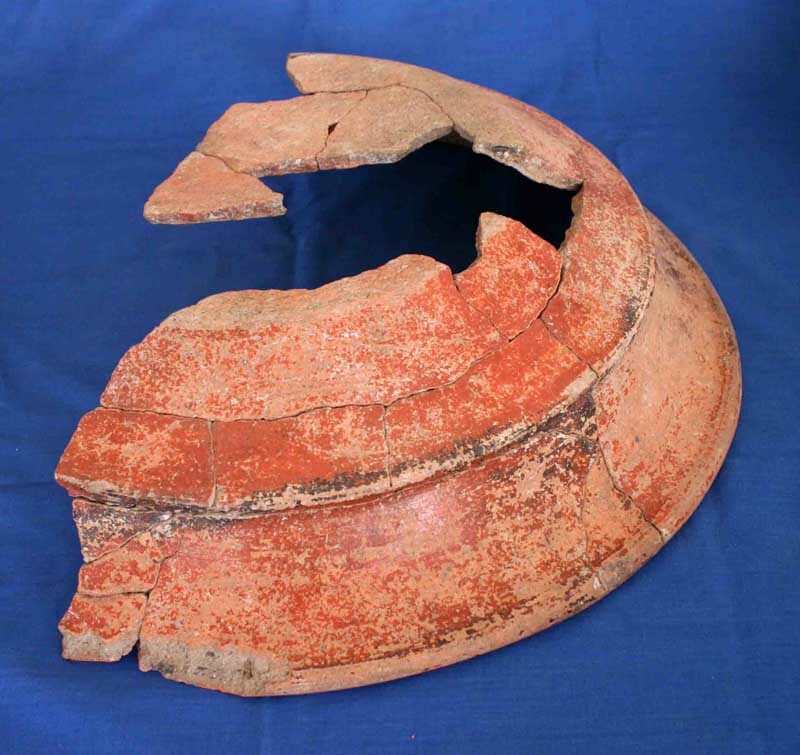 It was the ceramic collections from these excavations at San Estevan along with initial testing at Nohmul, Santa Rita, Colha and Cuello that Duncan Pring first established the Swazey, Lopez Mamom and Cocos Chicannel phases (Kosakowsky 1987:9; Kosakowsky and Pring 1998). In 1989 and 1990, Laura Levi (1996, 2002) mapped outlying house groups at San Estevan in detail and excavated several domestic structures. Based on her analysis of the architectural layout of these groups, Levi (2003) argued that San Estevan, along with the southern portion of Pulltrouser swamp (i.e., K'axob and Kokeal), formed one political unit by the Classic period, and that Nohmul, along with the northern part of Pulltrouser swamp (i.e., Tibaat), formed another polity. 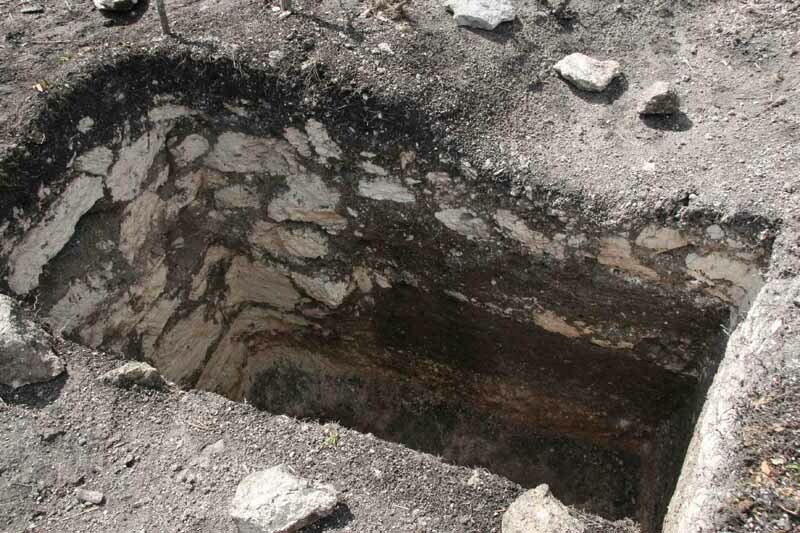 During the late 1990s, much of the monumental architecture in San Estevan's core was bulldozed and a large crater excavated for the underlying limestone marl in order to construct modern roads (Figure 5). Mound XV, at 15 m, is the highest structure remaining at the site and dates to the Late Formative period. 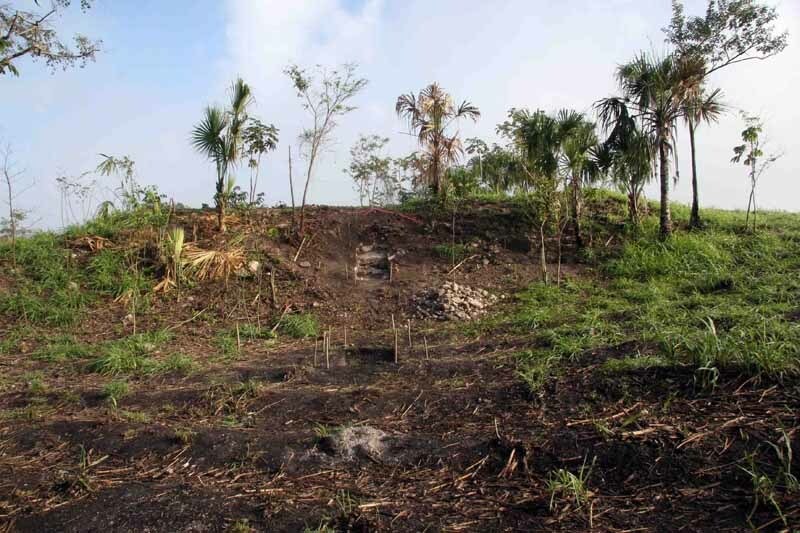 This mound was only saved from the bulldozers due to the intervention of the Belize Department of Archaeology in the late 1990s. The damage to San Estevan is unfortunate, but provides remarkable access to the earliest occupation at the site's center. 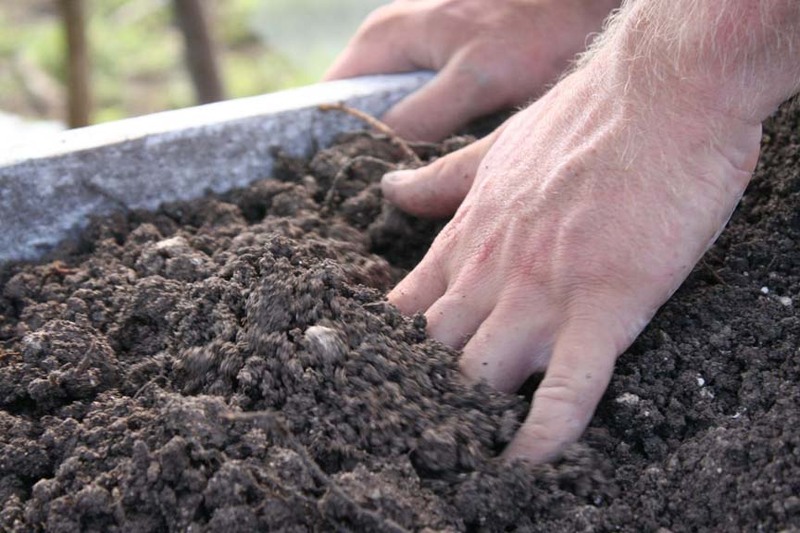 In 1999, we first noted an orange soil horizon below stratified Formative period occupation levels. 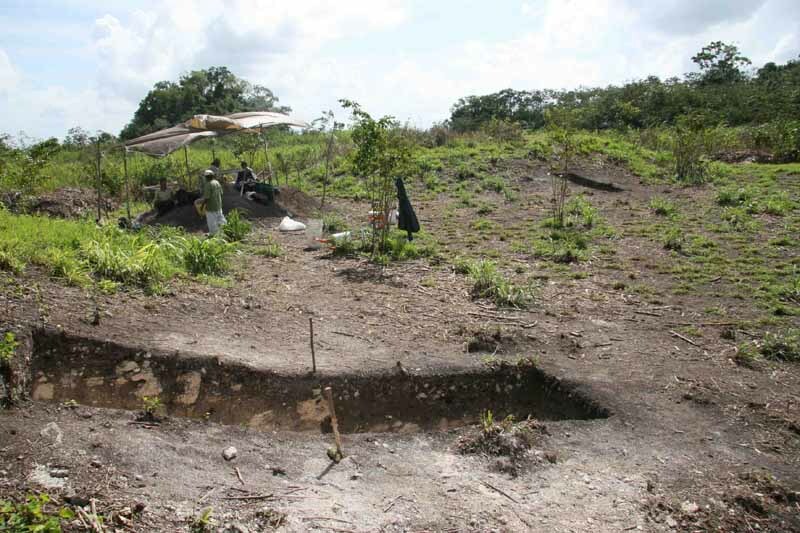 Such orange soils are associated with Archaic deposits elsewhere in northern Belize (Rosenswig and Masson 2001). 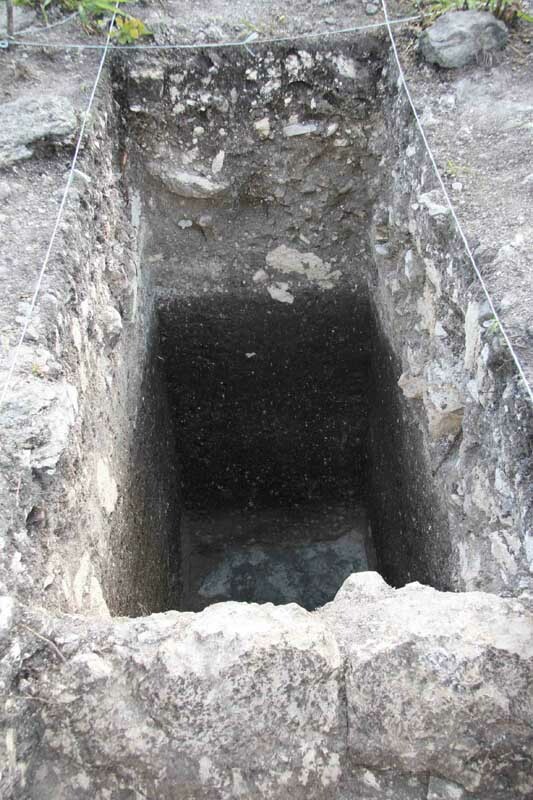 Taking advantage of the easy access to the earliest occupation levels, Rosenswig and three workmen drew profiles produced by the bulldozer cuts and excavated test pits in 2002 (Figure 6). These excavations confirmed the existence of orange soil as well as intact Middle and Late Formative period deposits (Rosenswig 2004). 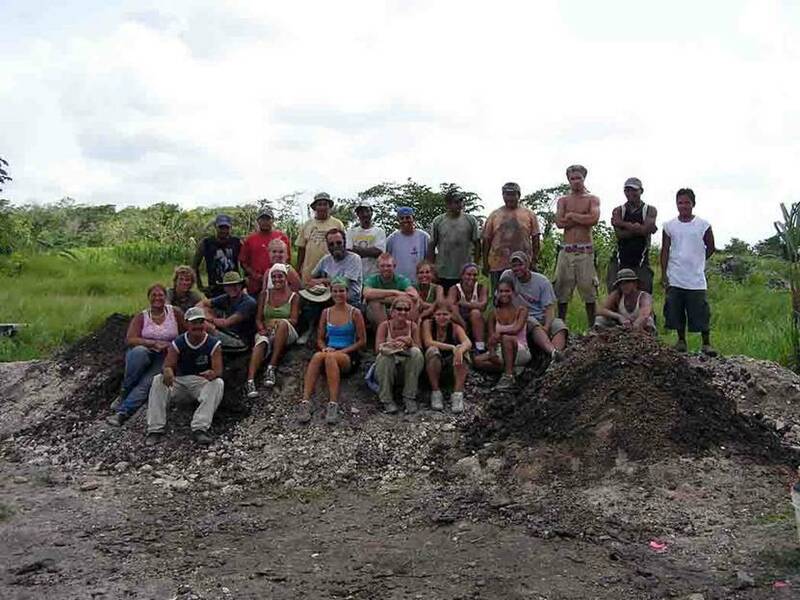 During January and February of 2008, we returned to San Estevan for another six weeks of excavation. 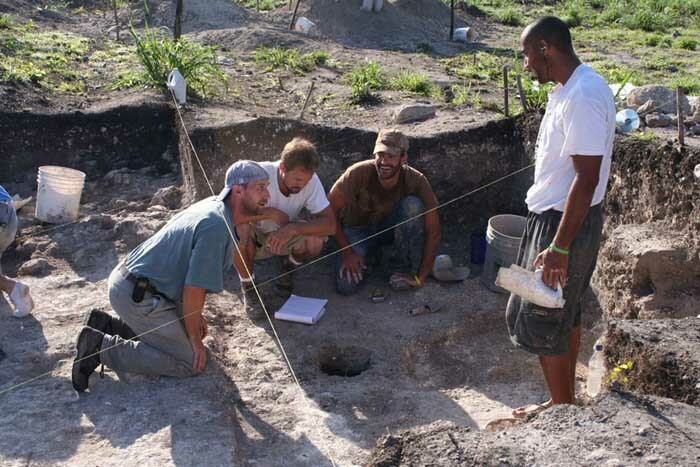 This time, we excavated at ten mounds around the site's center (Figure 12) targeting Middle and Late Formative midden deposits (Rosenswig 2008b). 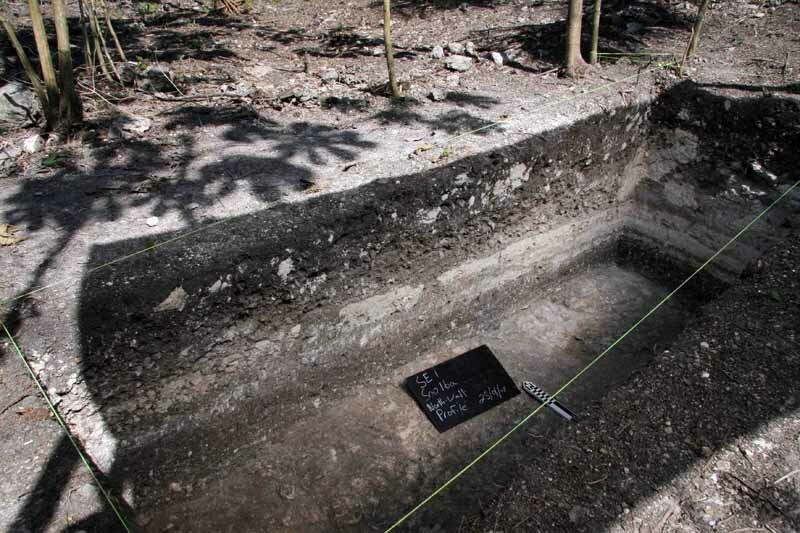 In 2005, all excavations were concentrated in what was the site core where we documented Middle Formative domestic deposits and Late Formative architecture. 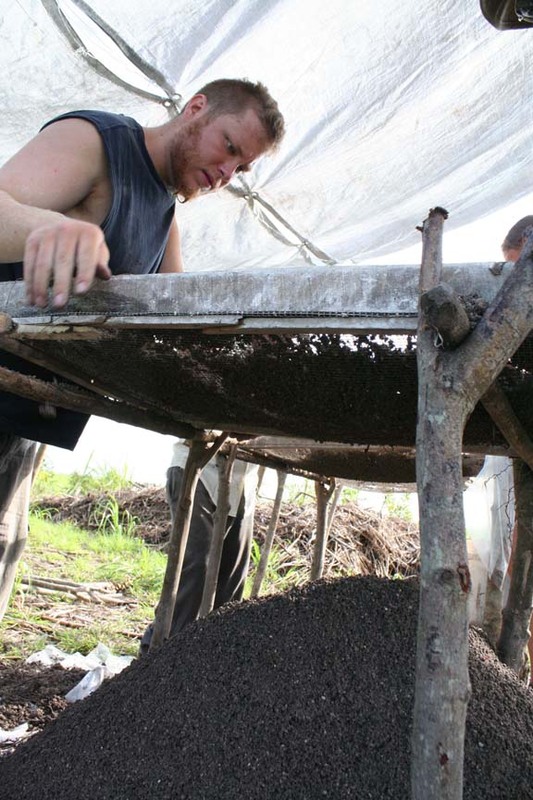 In 2008, we tested a number of surrounding mound groups in an attempt to recover Late Formative domestic materials with which to document economic changes (or lack thereof) from the preceding Middle Formative periods. 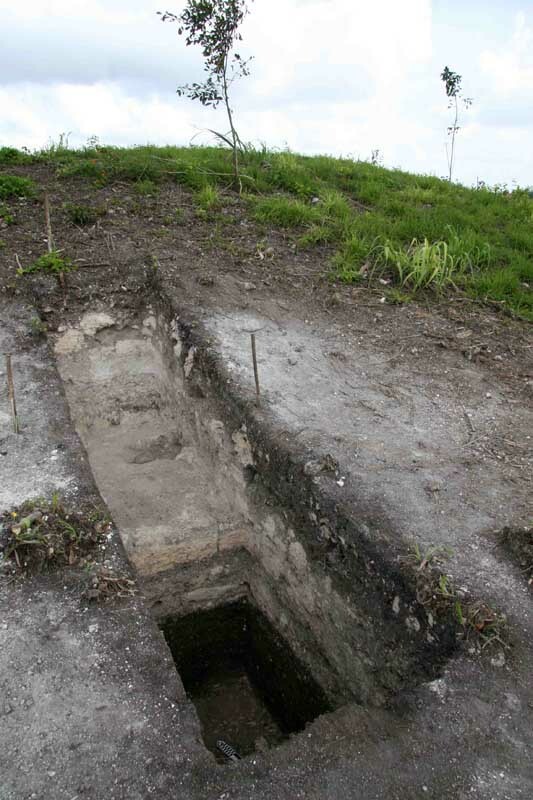 For example, Suboperation 12 was excavated 350m east of Mound XV. We excavated units off the east side of this 3m high mound and documented Late Formative levels below a mound that consisted mostly of Classic-period fill. Two other mounds (Suboperation 9 and 10) were tested 400m northwest of Mound XV that encountered significant intact Middle Formative deposits. Excavations at Suboperation 9 documented Middle Formative midden below Classic period construction fill (that raised the mound to its current height) capped by Classic period midden. This mound was thus occupied during the Middle Formative periods, abandoned for the centuries of the Late Formative and then reoccupied during the Classic period. 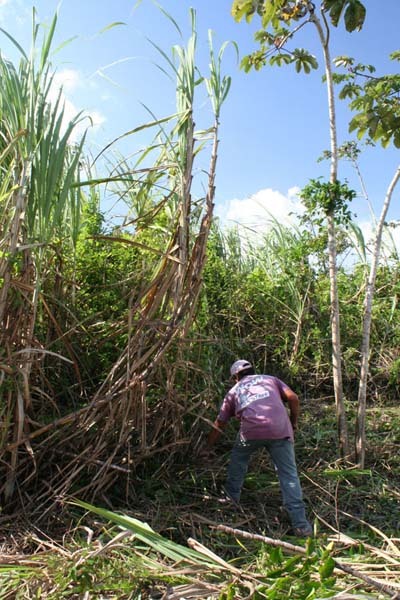 During the 2008 season, we expended considerable effort in documenting a mound that the sugarcane access road had cut in half (Suboperation 13) that was built on a gentle rise in the landscape. Such settlement location is typical of the dispersed occupation of the 6 or 7 sq km that make up the San Estevan site. 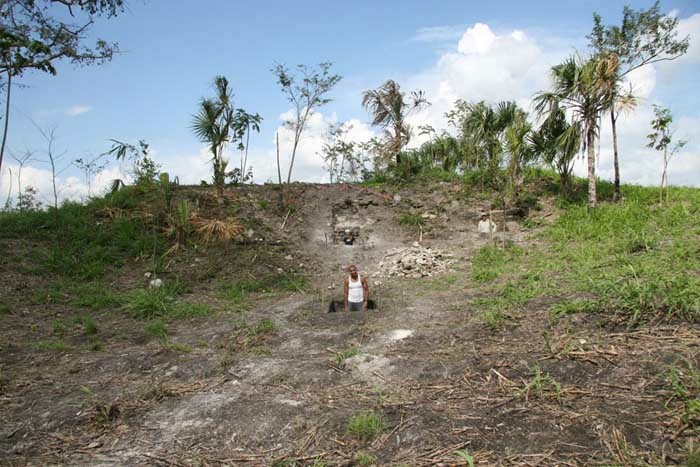 Mounds were located on virtually all high ground and the Suboperation 13 mound was no exception. In the east side of the mound, we encountered solid bedrock within 10cm of the current ground surface. 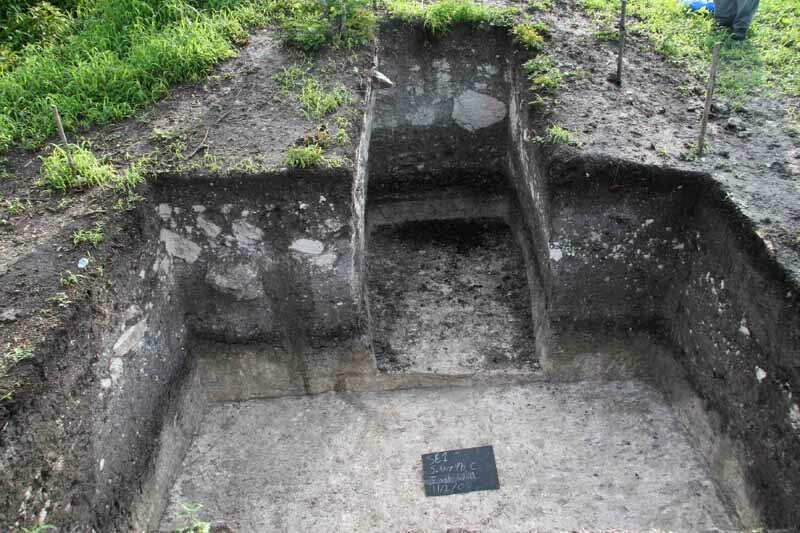 However, cultural deposits on the west side of the mound were considerably deeper. Once the south wall of the road cut was cleaned, were able to document a series of floors and occupation zones (Figure 13). We documented a feature sealed between the two lowest plaster floors with Chicanel vessels (Figure 14) that thus dated to the overlying floor to the Late Formative period. Furthermore, within the fill of the lowest plaster floor we recovered mostly Middle Formative sherds (Figure 15) and 10-15 cm of Middle Formative midden below this. 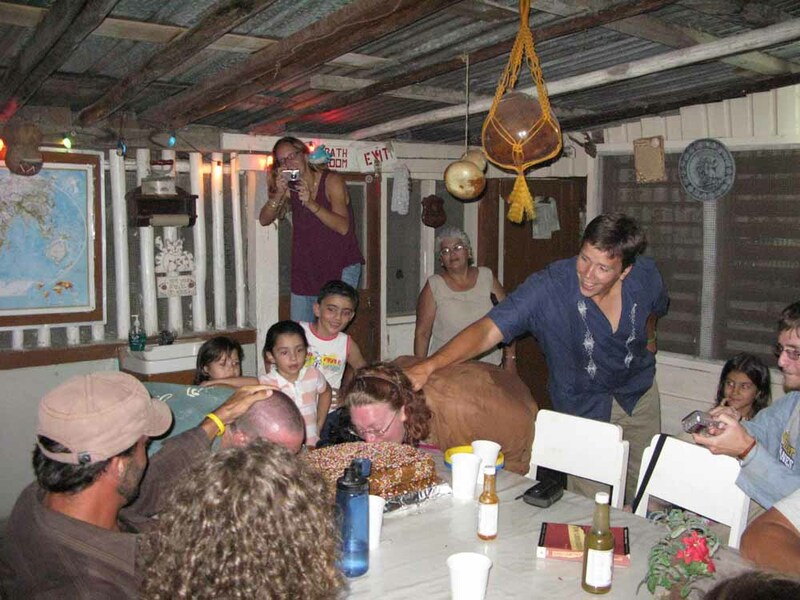 At Suboperation 13, we thus encountered the Middle to Late Formative transition we were seeking. To reach the Formative deposits at Suboperation 13, we excavated numerous Classic-period occupation levels, and noted many more that had long been scrapped away by ploughing of the fields. We documented six Late Classic burials dug down from an occupation level that no longer existed. All interments were of single adult individuals. Their heads were all oriented north, which is also the direction towards Mound XV. The burials were in reasonably good states of preservation and two contained Classic period vessels covering their faces. Below the Classic period levels at Suboperation 13, we documented a Late Formative period structure and associated refuse. 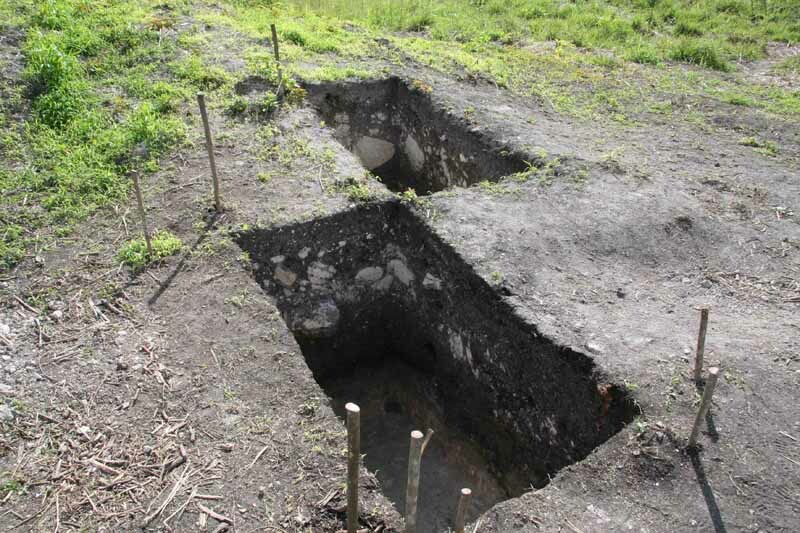 While we were not able to establish its full dimensions, we documented 6m east-west and 3m north-south of a rectangular building – the remainder of which remains buried in the mound (Figure 16). 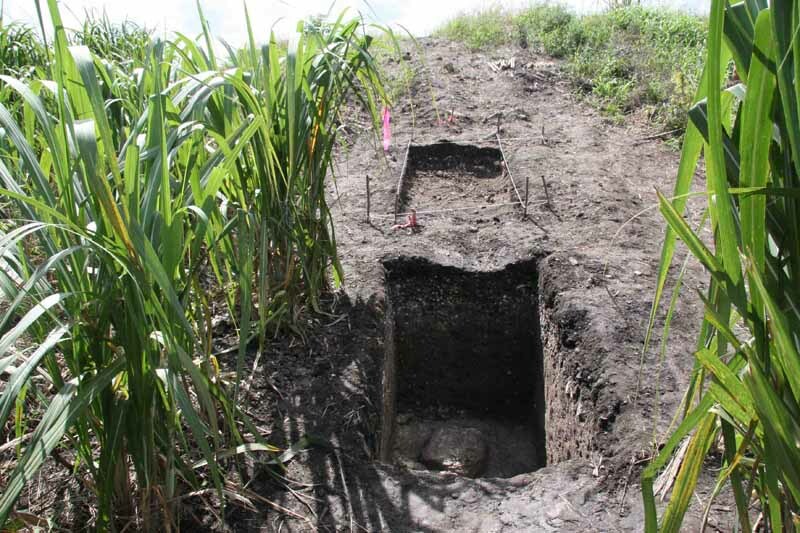 The Late Formative rectangular structure at San Estevan Suboperation 13 was built on top of a dark brown stratum that contains late Middle Formative Mamom ceramics. 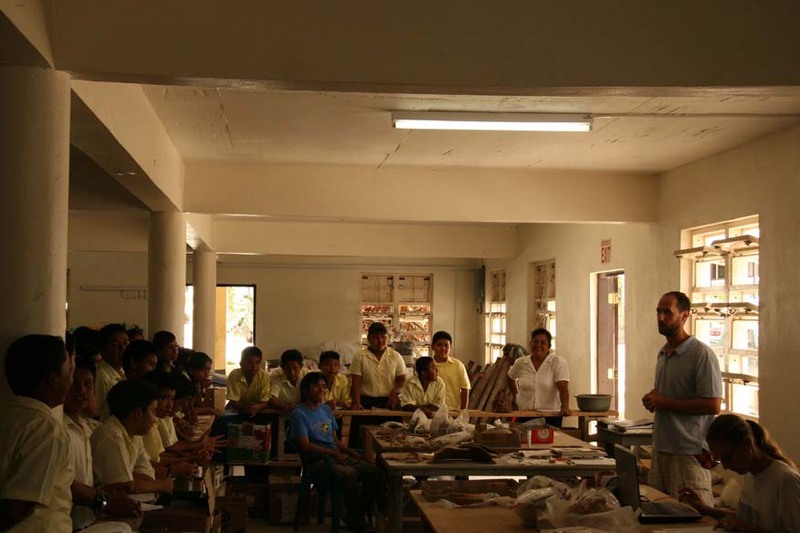 As at the site center, Suboperation 13 also documents that it was during the Late Formative that plaster was first widely used in architectural construction projects (Rosenswig 2008a). At the Suboperation 13 mound, in 1.7m of vertical excavation, we have documented 1500 years of occupation beginning during the second part of the Middle Formative and extending through to the Late Classic period. At the other mounds documented in 2008, Classic-period deposits were the most extensive with Late Formative remains below. This was the case at Suboperation 12 (mentioned above) as well as at the mounds documented as Suboperations 10, 14, 15, 16, 19, 20. To date, outside of the site core, Middle to Late Formative occupational continuity has only been recovered from Suboperation 13. At Suboperation 9, we documented Middle Formative but no Late Formative occupation and at Suboperation 11 no Formative occupation at all. 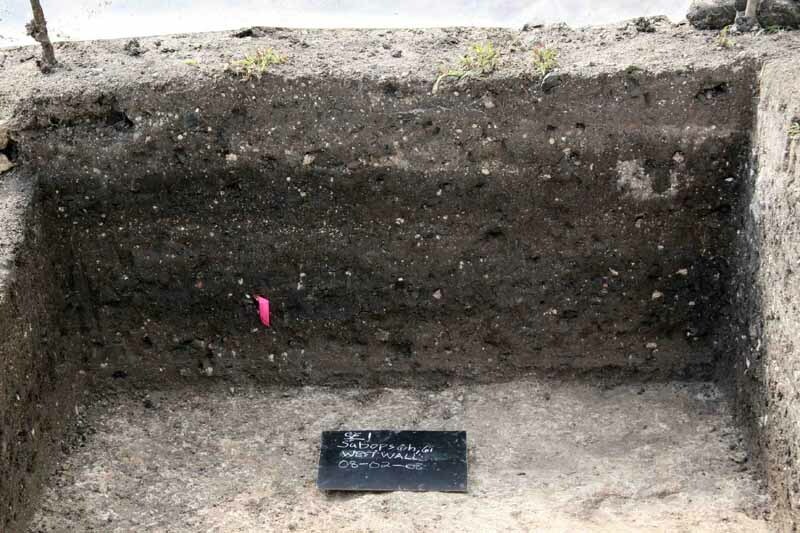 No Middle Formative occupation was documented at any of the other six mounds documented outside of the site core (Suboperations 10, 14, 15, 16 19, 20) but all had Late Formative deposits. 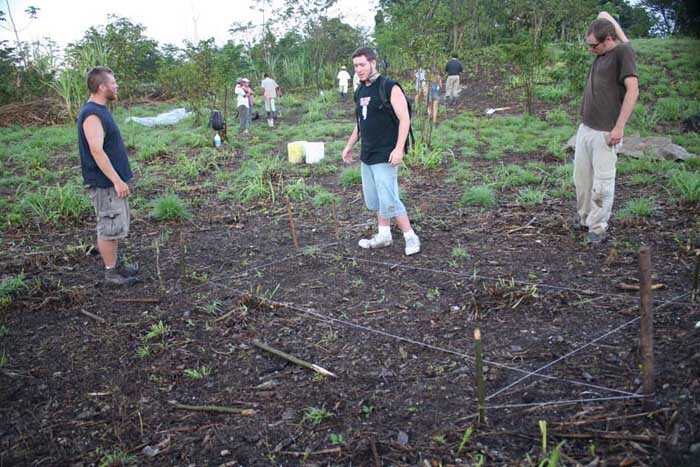 All ten mounds tested in 2008 were occupied during the Classic period. 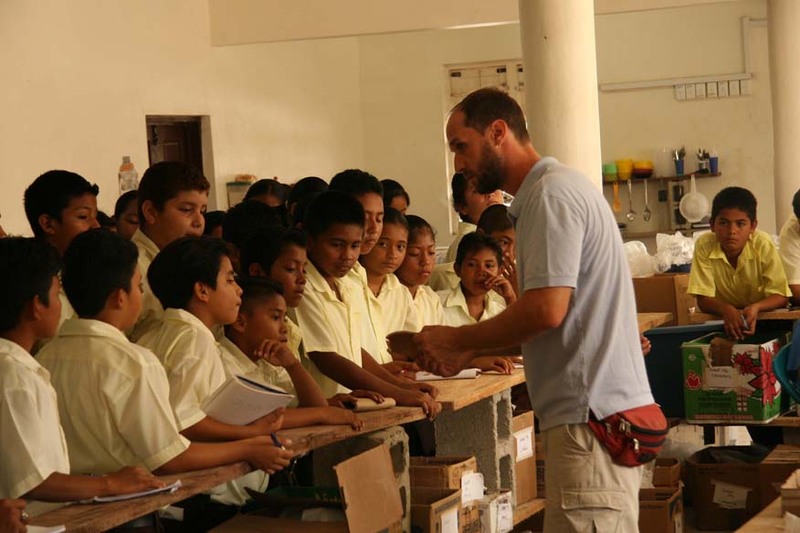 Since 1997, The University at Albany-SUNY Belize field schools have taken undergraduate students to the field each year. 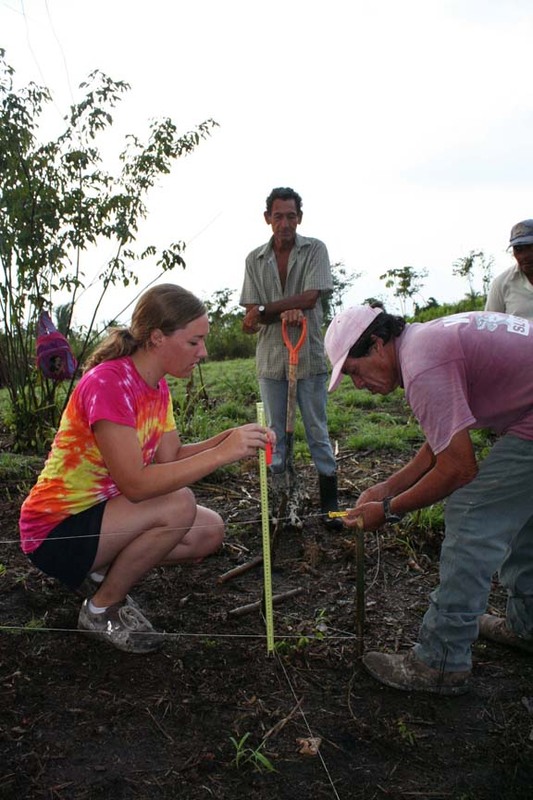 Over 150 undergraduate and 40 graduate students have participated on a total of seven UAlbany field schools. 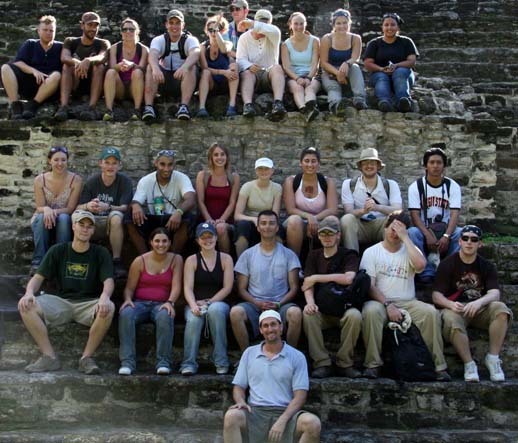 UAlbany Belize field school began as Dr. Marilyn Masson's Belize Postclassic Project and documented occupation along the Freshwater Creek drainage in the years after the so-called collapse of Classic Maya civilization. 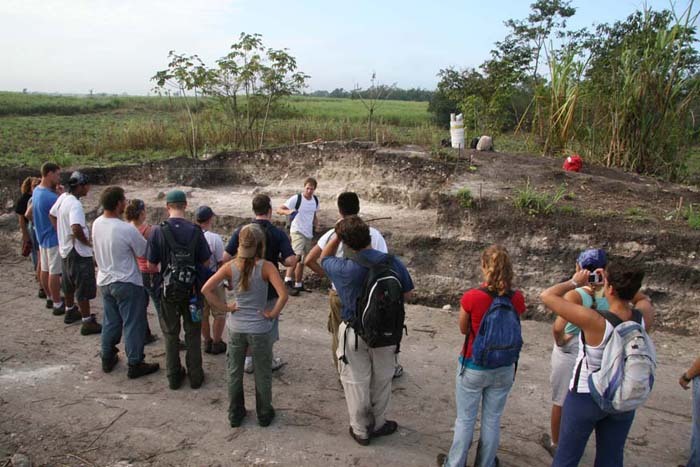 Seven seasons of archaeological investigations were conducted by SUNY Albany field schools at Laguna de On, Progresso Lagoon and Laguna Seca. 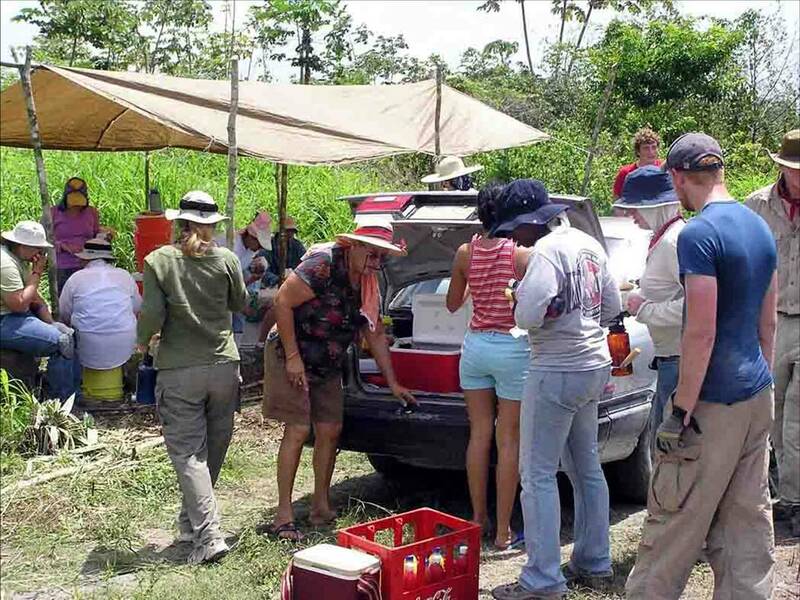 A number of field school students have returned as staff members and four of the Anthropology department's current graduate students are alumni of the Belize field schools. 1965 Stratigraphic Excavations at San Estevan, Northern British Honduras. Royal Ontario Museum, Occasional Paper 9. University of Toronto Press, Toronto. 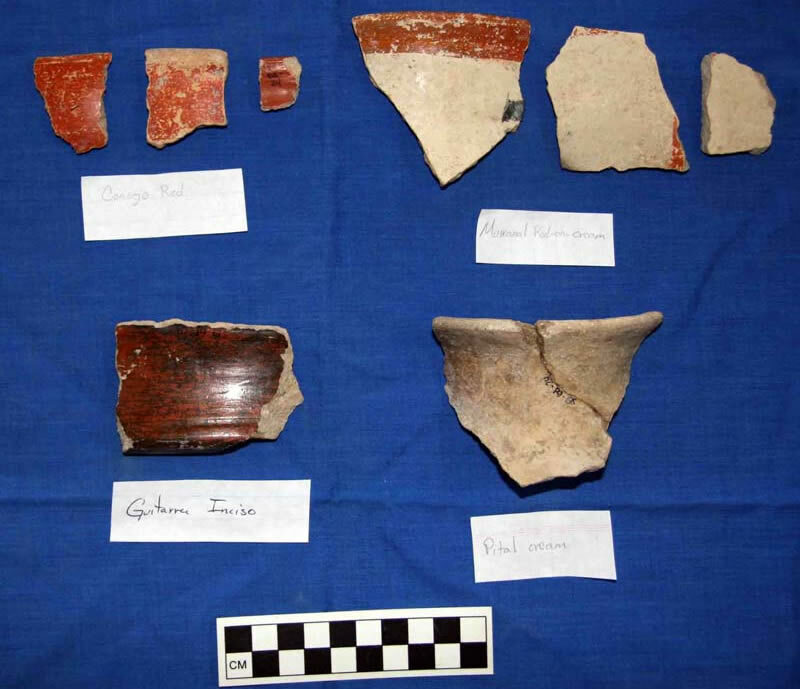 2009 Análisis Preliminar de la Cerámica Preclásica del Sitio Arqueológico de San Estevan, Norte de Belice. Los Investigadores de la Cultura Maya 17: 165-176. 1975 Maya Settlement Hierarchy in Northern Belize. In Studies in Ancient Mesoamerica, II, edited by John A. Graham, pp. 40-55. 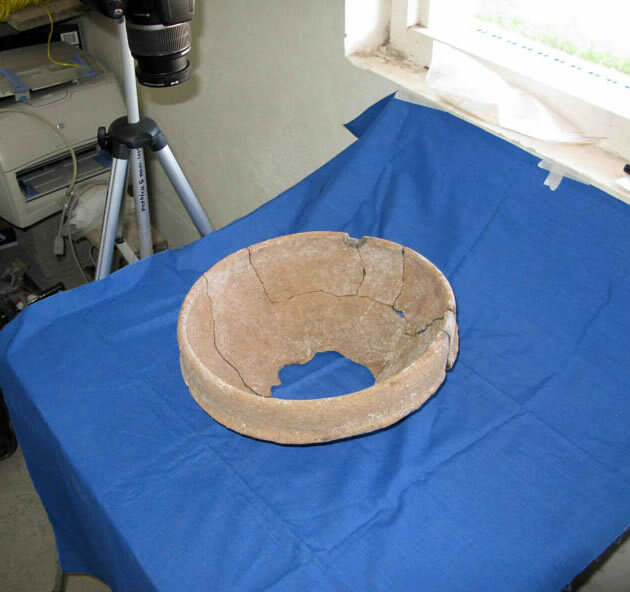 Contributions of the University of California Archaeological Research Facility No. 27. University of California, Berkeley. 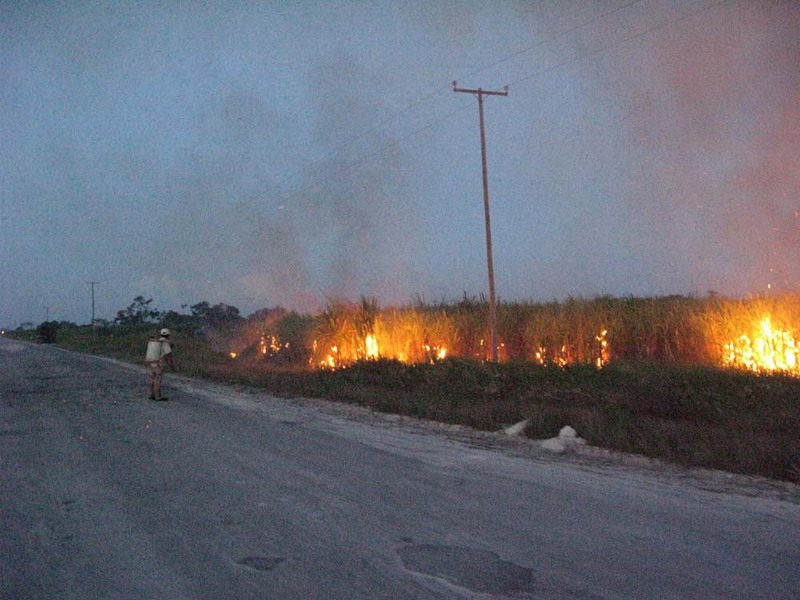 1973 Corozal Project: 1973 Interim Report. Manuscript on file at Cambridge University. 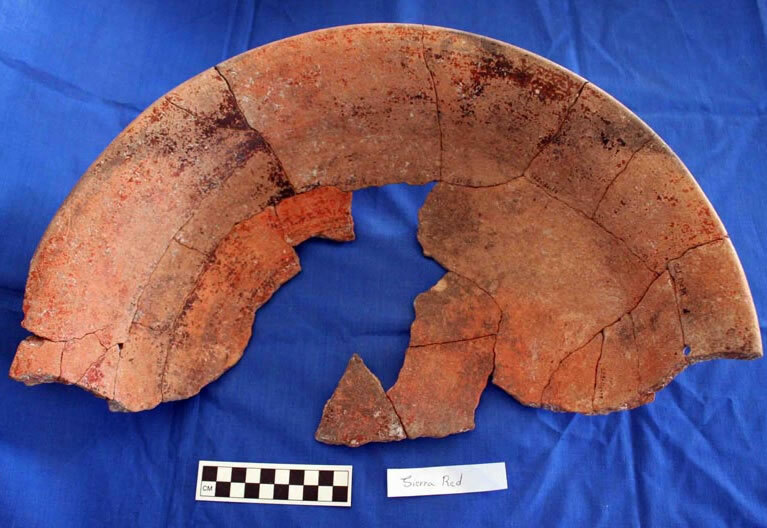 1987 Preclassic Maya Pottery at Cuello, Belize. Anthropological Papers of the University of Arizona, Number 47. University of Arizona Press, Tucson. 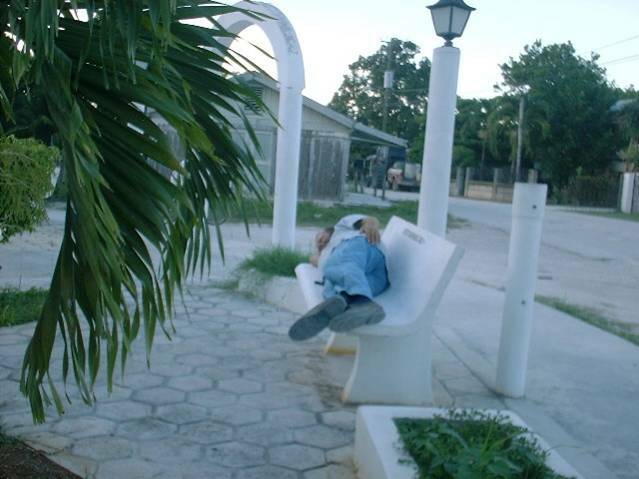 1998 The Ceramics of Cuello, Belize. Ancient Mesoamerica 9: 55-66. 1996 Sustained Production and Residential Variation: A Historical Perspective on Lowland Maya Domestic Economy. In Managed Mosaic, edited by S. Fedick, pp. 92-106. University of Utah Press, Salt Lake City. 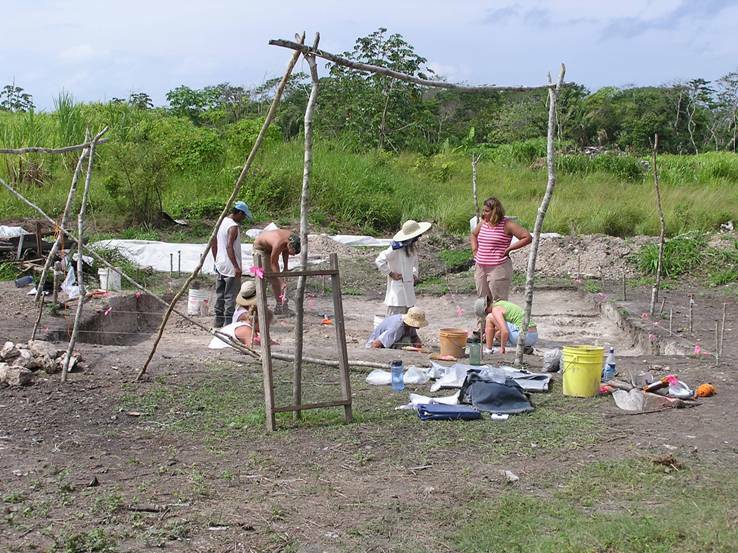 2002 An Institutional Perspective on Prehispanic Maya Residential Variation: Settlement and Community at San Estevan, Belize. 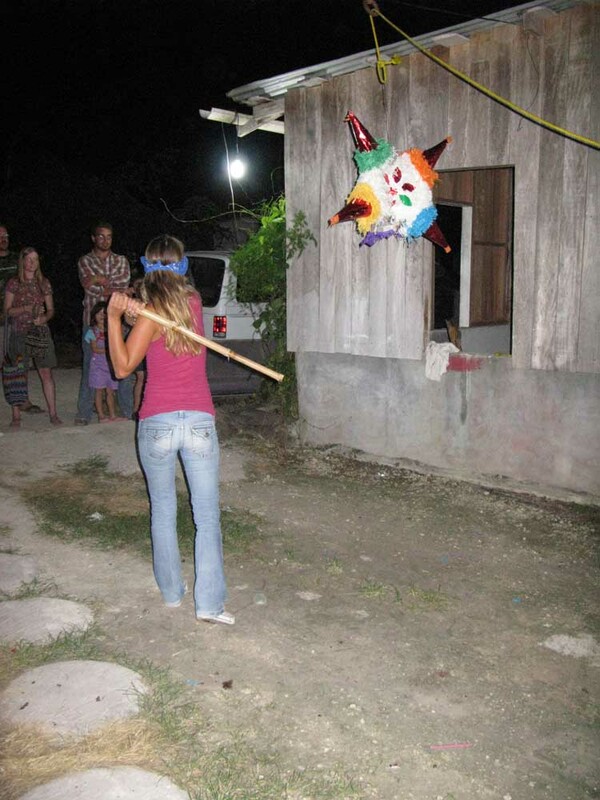 Journal of Anthropological Archaeology 21: 120- 141. 2003 Space and the Limits to Community. In Perspectives on Ancient Maya Rural Complexity, edited by G. Iannone and S. V. Connell, pp. 82-93. Cotsen Institute of Archaeology, Monograph 49. Cotsen Institute, Los Angeles. 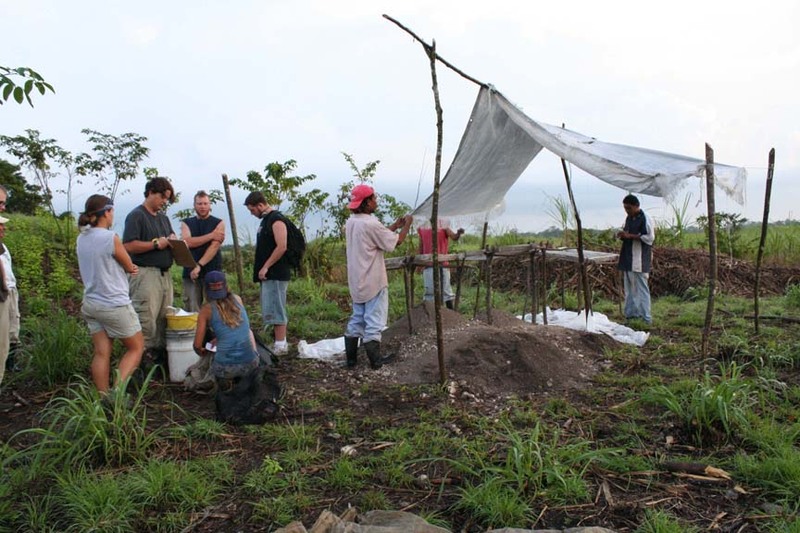 2004 The Late Archaic Occupation of Northern Belize: New Archaeological Excavation Data. 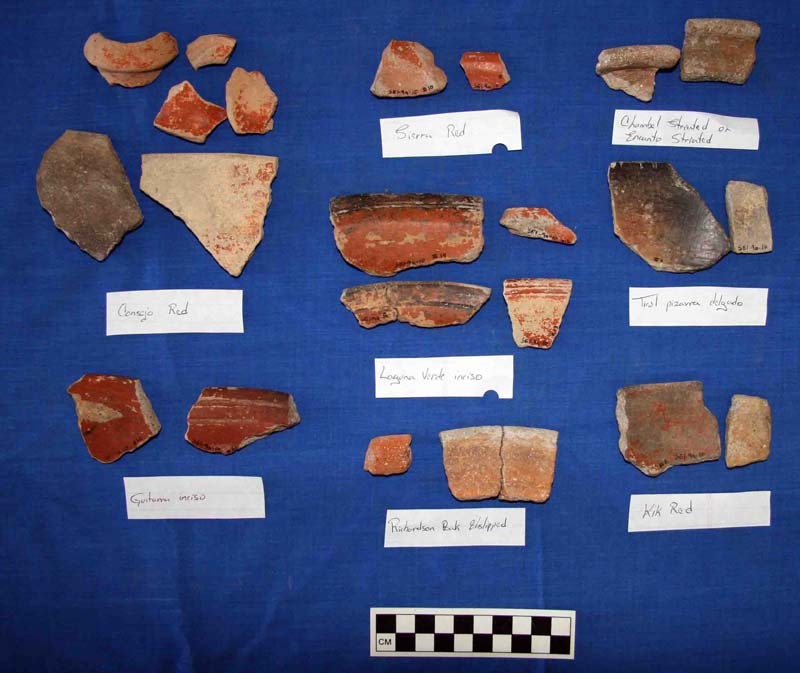 Research Reports in Belizean Archaeology 1: 267-277. 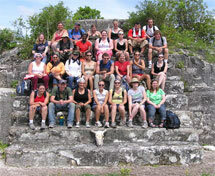 2006 Northern Belize and the Soconusco: A Comparison of the Late Archaic to Formative Transition. 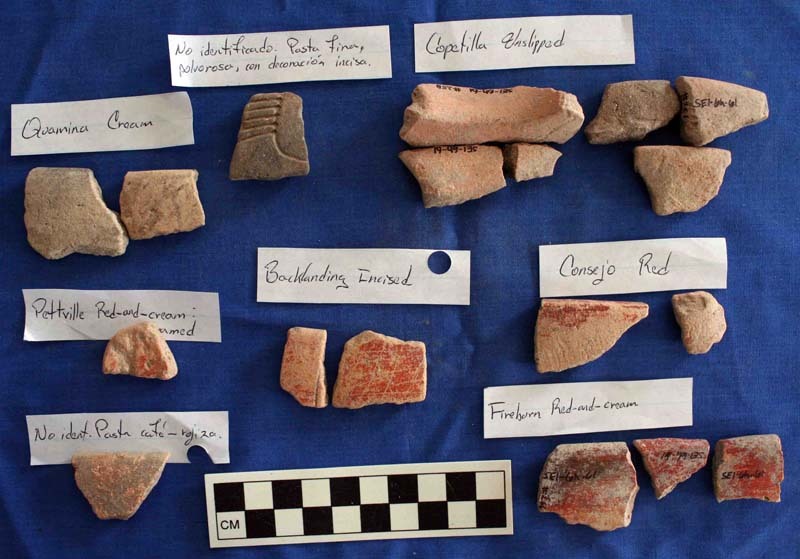 Research Reports in Belizean Archaeology 3: 59-71. 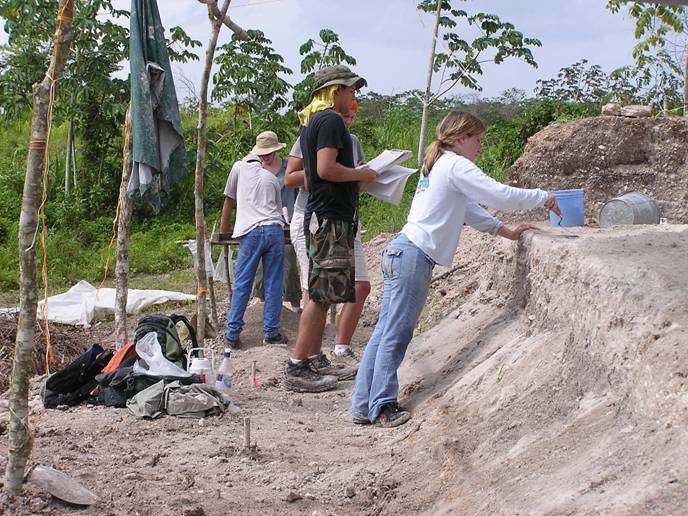 2008a Recent Excavations at San Estevan, Northern Belize. 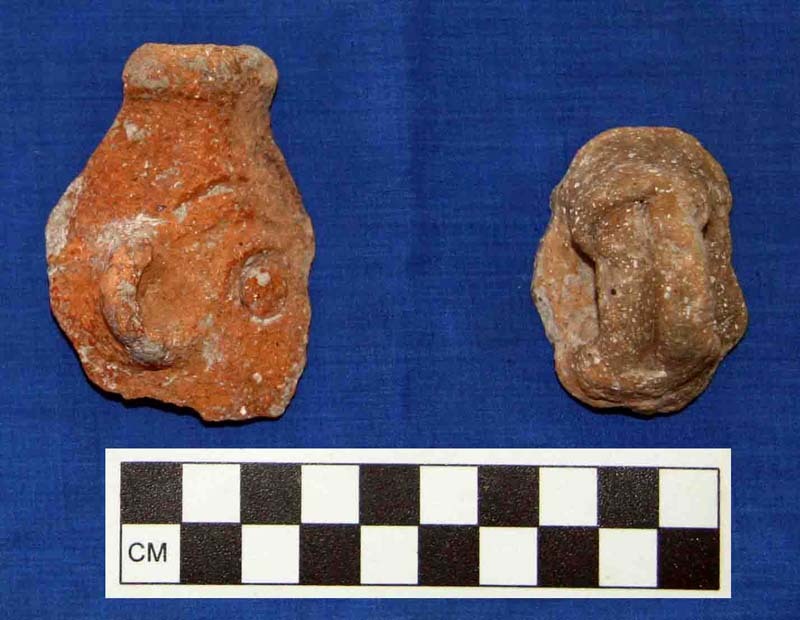 Research Reports in Belizean Archaeology 5: 261-268. 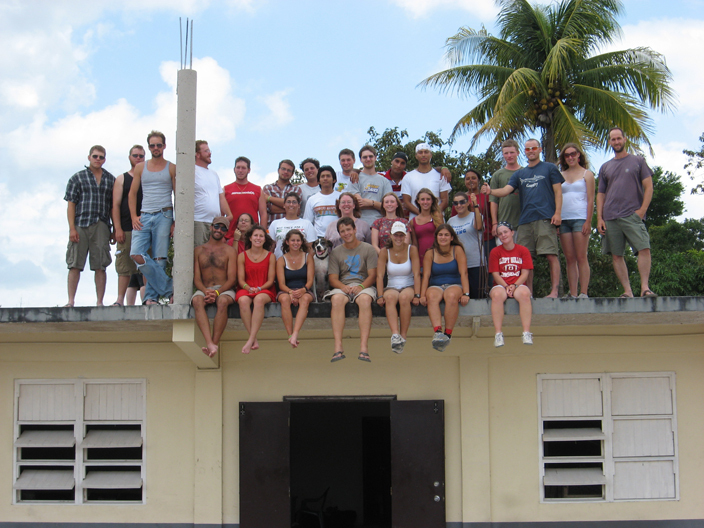 2009 The Emergence of Complexity and the Middle to Late Formative Occupation of San Estevan, Belize. 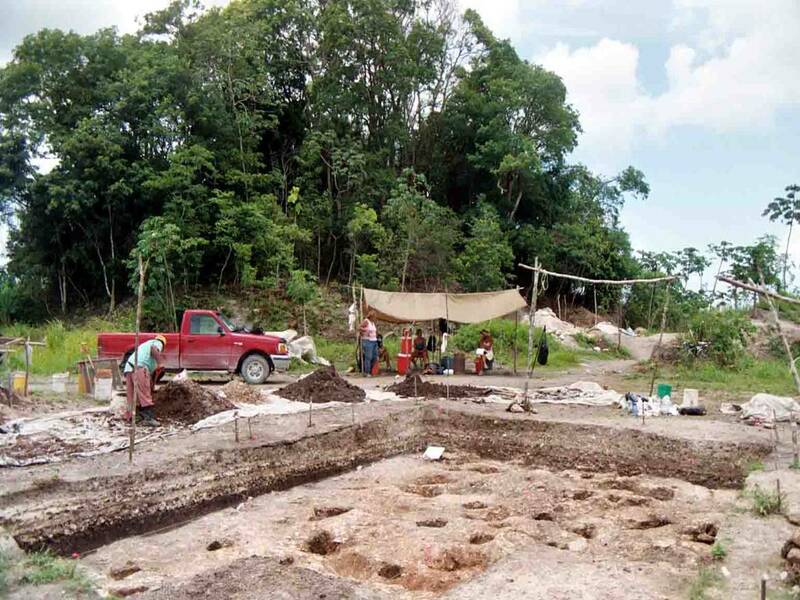 Research Reports in Belizean Archaeology 6: 101-108. 2014 Mesoamerica’s Archaic Period. In Encyclopedia of Global Archaeology, edited by Claire Smith, pp. 4823-4836. Springer, New York. 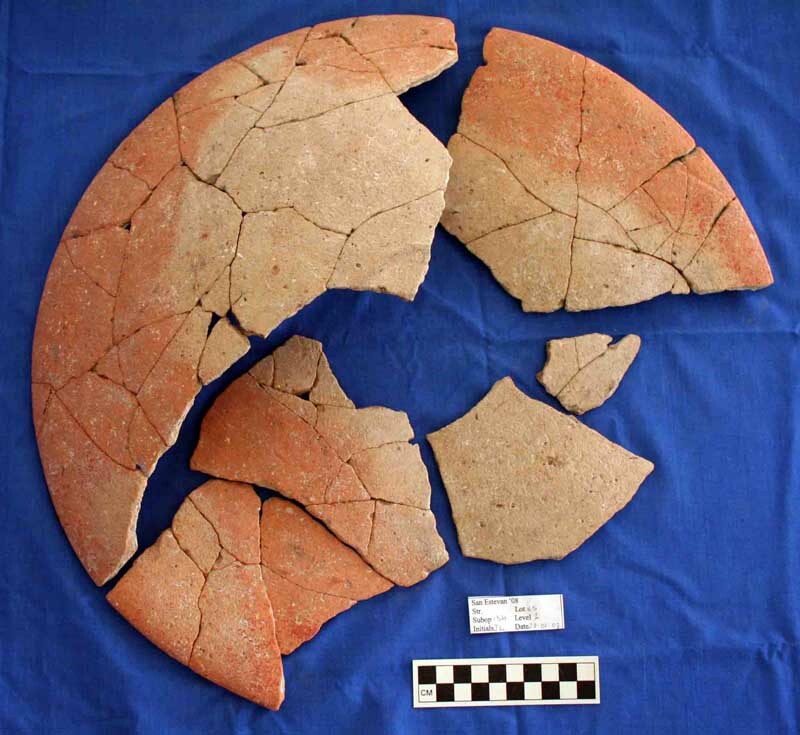 2015 A Mosaic of Adaptation: The Archaeological Record for Mesoamerica’s Archaic Period. 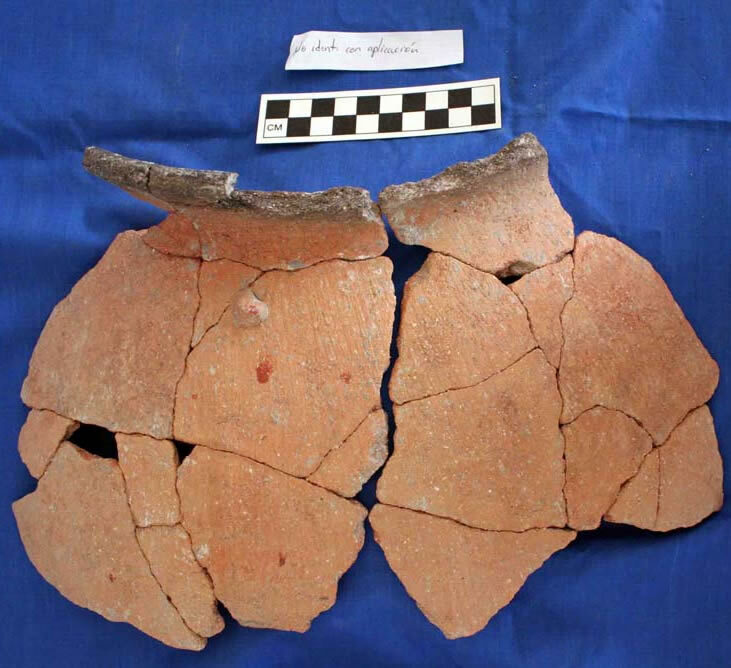 Journal of Archaeological Research 23 (2): 115-162. 2007 San Estevan Archaeological Project 2005. Institute of Mesoamerican Studies, Occasional Publication No. 14. The University at Albany - SUNY, Albany. 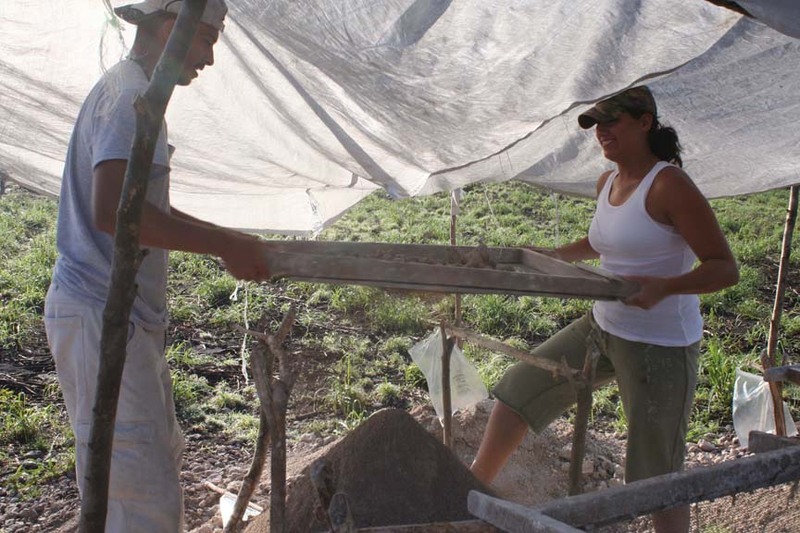 2008b San Estevan Archaeological Project 2008. Institute of Mesoamerican Studies, Occasional Publication No. 15. The University at Albany - SUNY, Albany. 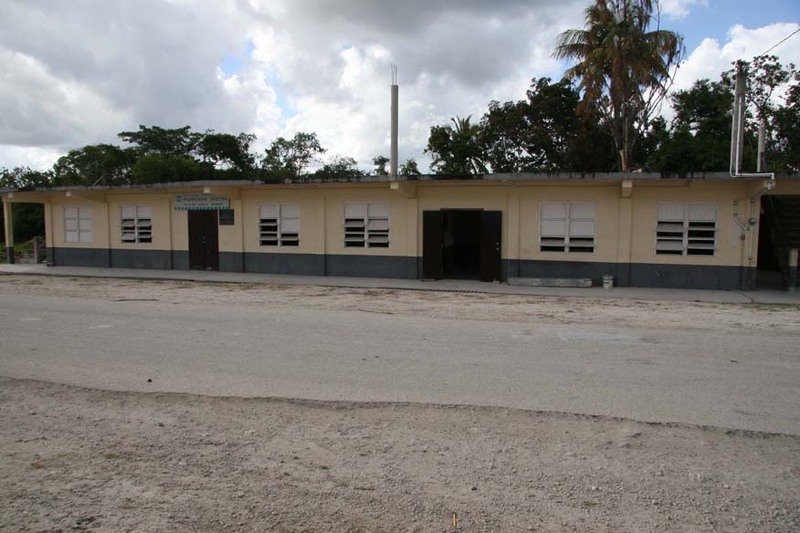 2008 Reassessing San Estevan's Role in the Late Formative Political Landscape of Northern Belize. Latin American Antiquity 19: 124-146. 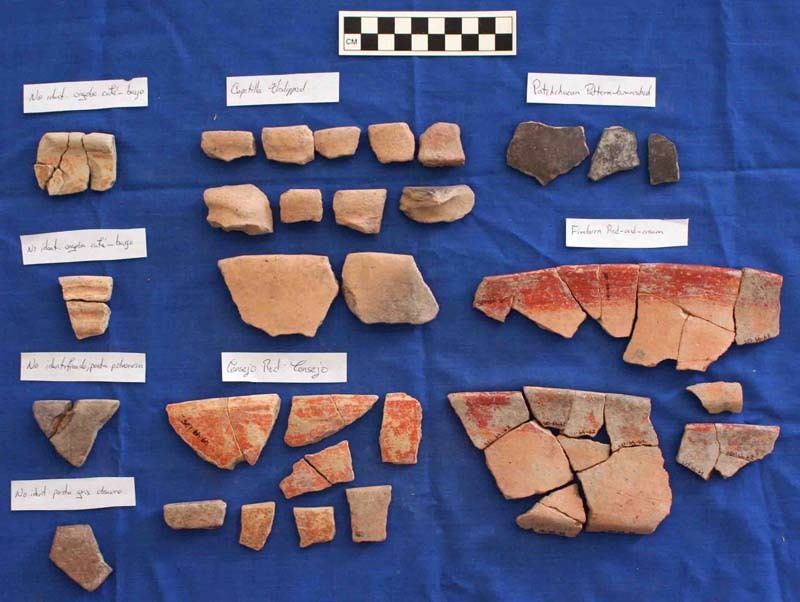 2001 Seven New Preceramic Sites Documented in Northern Belize. Mexicon 23: 138-140. 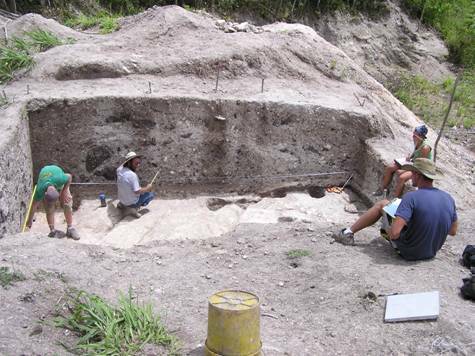 2014 Archaic Period Settlement and Subsistence in the Maya Lowlands: New Starch Grain and Lithic Data from Freshwater Creek, Belize. 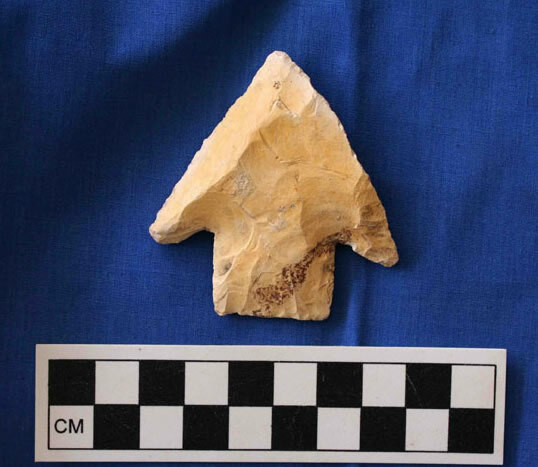 Journal of Archaeological Science 41(1): 308-321. 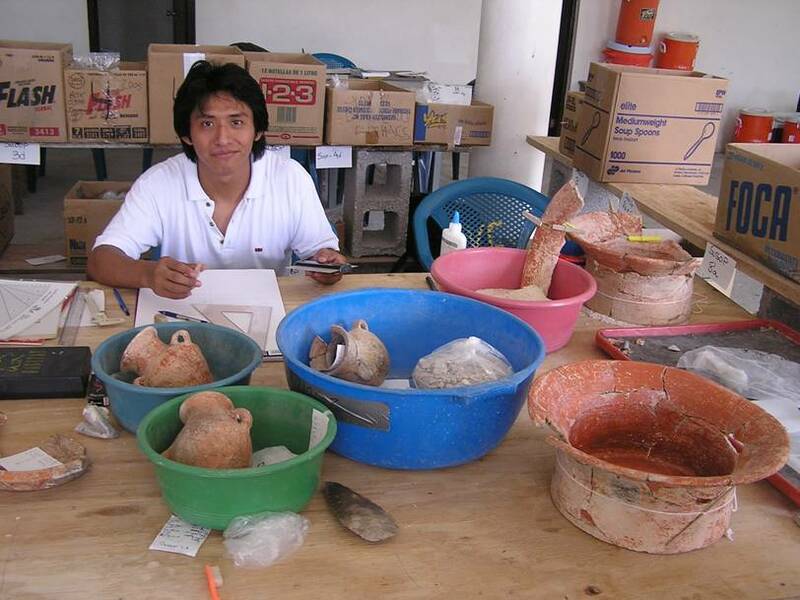 2006 The Emergence of Ceramic Craft Specialization During the Maya Formative Period: A Petrographic Investigation in Northern Belize. Senior Honors Thesis. Department of Anthropology, Yale University, New Haven. 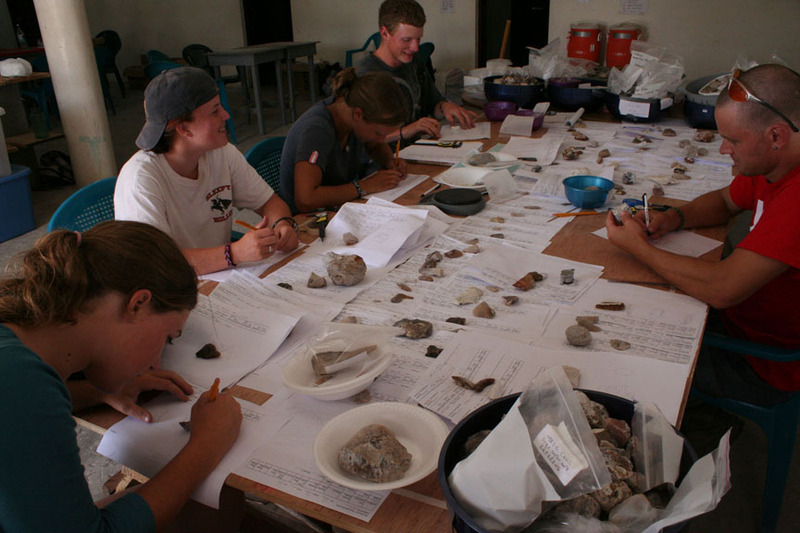 2016 Leaving no Stone Unturned: Investigating Preclassic Lithic Production, Consumption, and Exchange at San Estevan, Belize and K'o and Hammontun, Guatemala. PhD Dissertation. Department of Anthropology, University at Albany. 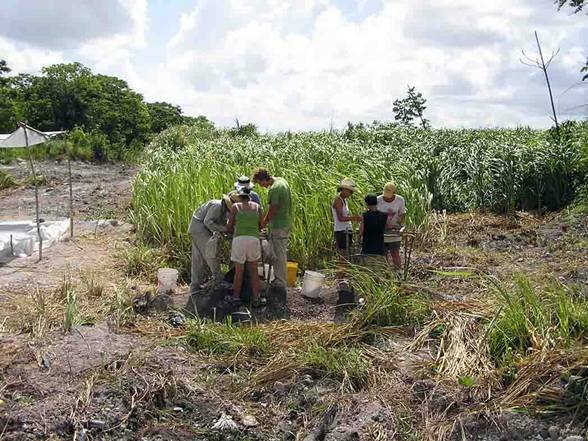 2011 Agricultural Consumption Patterns and Formative Period Sociopolitical Developments at the Maya Site of San Estevan, Belize. PhD Dissertation. 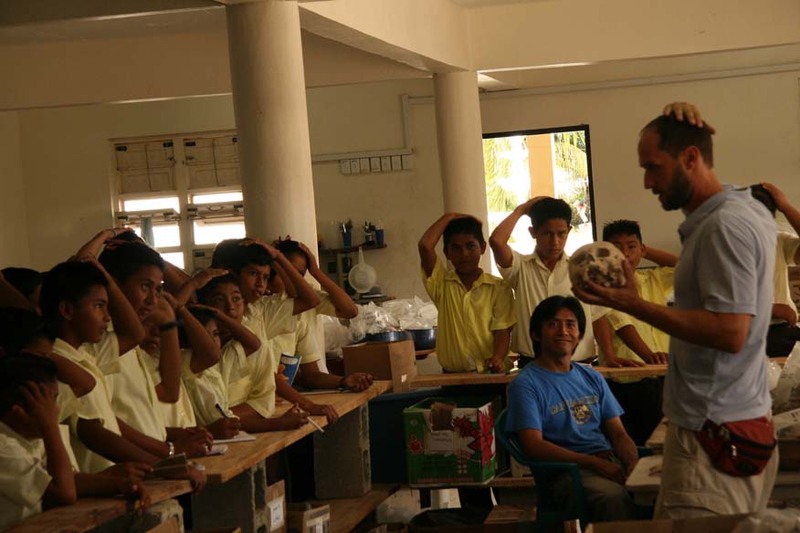 Department of Anthropology. Florida State University.